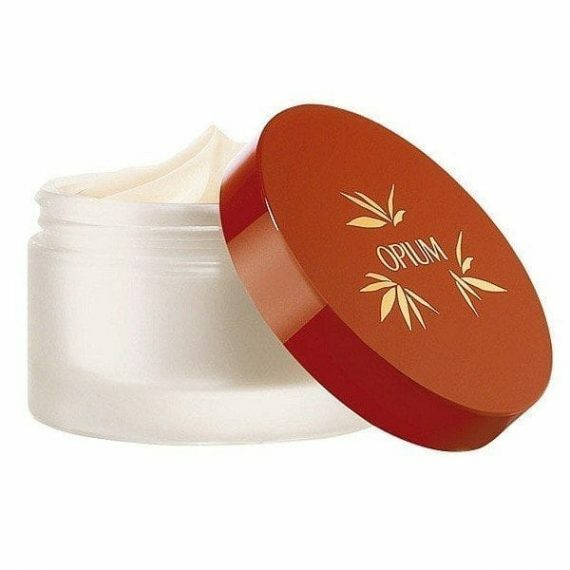 Yves Saint Laurent Opium Body Cream is fragranced with the opulent and decadent perfume originally launched in 1977. It is a luxurious fragrance of sheer sensuality that has a voluptuous, provocating and bewitching scent – a definite head turner! Created with top notes of bergamot, mandarin orange & lily of the valley; heart notes of carnation, jasmine & myrhh plus base notes of patchouli, amber, opoponax and vanilla. The perfume is very long lasting with the most predominant notes being the myrhh and carnation. It is available to buy as the Parfum Extract, an EDP and EDT spray and from a range of fragranced body products. This Rich Body Cream: a delicious powdery sensation and rich, velvety comfort. It is instantly absorbed so theres no waiting before getting dressed. This source of hydratation contains Golden Saffron extract with iridescent shimmers that subtly enhance your skin.